Airlink and Safair, two independent South African aviation groups, will on Tuesday apply to the Competition Commission for approval to unite under the common umbrella of the Airlink group of companies. 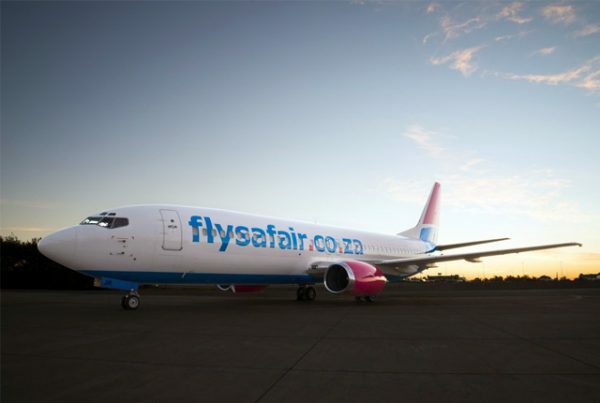 The proposal sees the Airlink and low-cost FlySafair airlines and Safair’s other businesses, including humanitarian aid flights, continuing to operate separately under their unique brands. The airlines will retain their respective products, aircraft fleets, management and leadership teams. Employees will be secure with no job losses because of the consolidation. “Airlink’s acquisition of Safair, which is financially robust and profitable, makes good business sense. It presents opportunities to reduce our combined costs, position ourselves for growth while at the same time increasing connectivity and choice while making air travel accessible and affordable for our customers across Southern Africa,” explained Airlink CEO and managing director Rodger Foster in a statement. Elmar Conradie will remain as Safair CEO. “Coming under a single umbrella will create economies of scale that will enable both airlines to share costs, optimise assets and remove systems duplications. This will position the new Airlink Group for future growth,” said Conradie. In addition, the proposed new ownership structure will see Airlink continue to meet-and in future exceed-broad-based black economic empowerment targets. The Safair purchase will not affect Airlink’s existing SAA franchise partnership, according to the statement. Safair shareholder ASL Aviation Holdings will become a minority shareholder of the Airlink Group of companies. ASL Aviation Holdings is a global aviation group with six European and two Asian airlines in addition to its South African interests. According to the statement, more details will be provided when the Competition Commission has made its decision, which is expected to likely be during the first quarter of 2018.